Glenmarian Charles Aketch, professed his Final Oath on May 25, 2018. He will be ordained a transitional deacon July 5 in his hometown of Kisumu, Kenya. Charles’ ordination to the priesthood will take place sometime next spring. 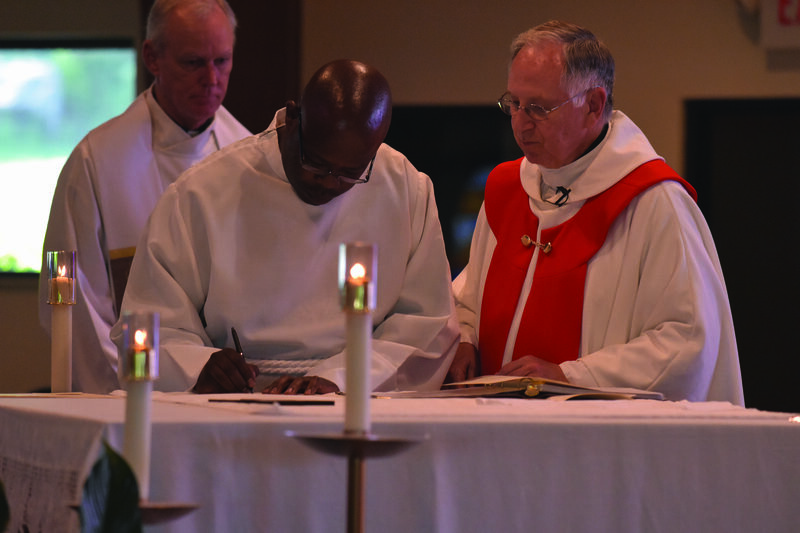 As he grew up in Kisumu, Kenya, Charles learned to value community life from living with his parents and seven siblings, who were later very supportive of his vocation call. He attended Mass regularly with his grandmother. And his pastor mentored him, paid his high school fees, and eventually—by his example—inspired Charles to enter the seminary. “He was always present for the people, and he loved and identified with them,” he says. He first learned about Glenmary in 2006. He learned much more at the 2013 Glenmary retreat by meeting, talking to, and praying with Glenmarians in person, before deciding the religious society was the answer to his vocation call.